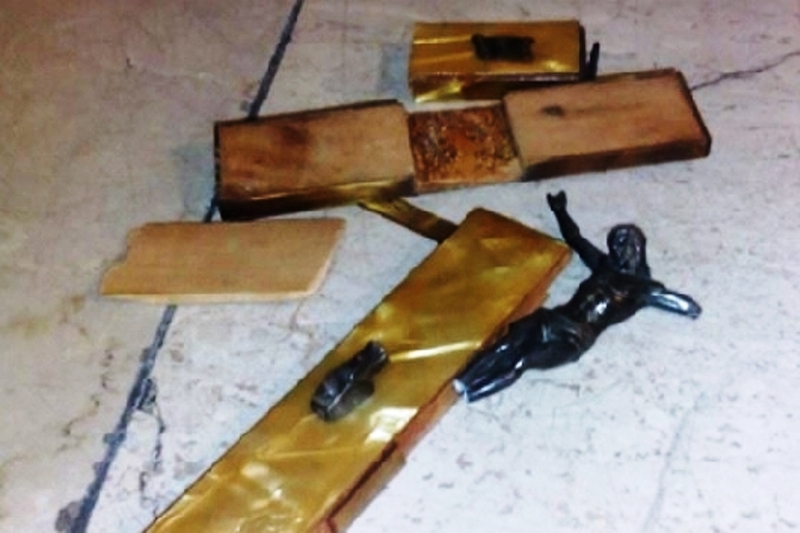 On January 17, a crucifix (pictured above) was destroyed in Cinisello Balsamo, a municipality in the Province of Milan, Italy. This comes days after a statue of the Virgin Mary was destroyed and urinated on by a group of North Africans in Italy. It’s time to put an end to the do-gooders’ policies of welcoming and integrating by a certain political party. Before we put a show of unity with Muslims, let’s have them begin by respecting our civilization and our culture. We shouldn’t minimize the importance of certain signals; we must wake up now or our children will suffer the consequences of this dangerous and uncontrolled Islamic invasion.